Trener personalny - Rafał Bytomski | Wszystkie Prawa Zastrzeżone. . Obsługiwane przez usługę Blogger. In order to carefully analyse each exercise, we should learn a bit of trunk and limbs movements. 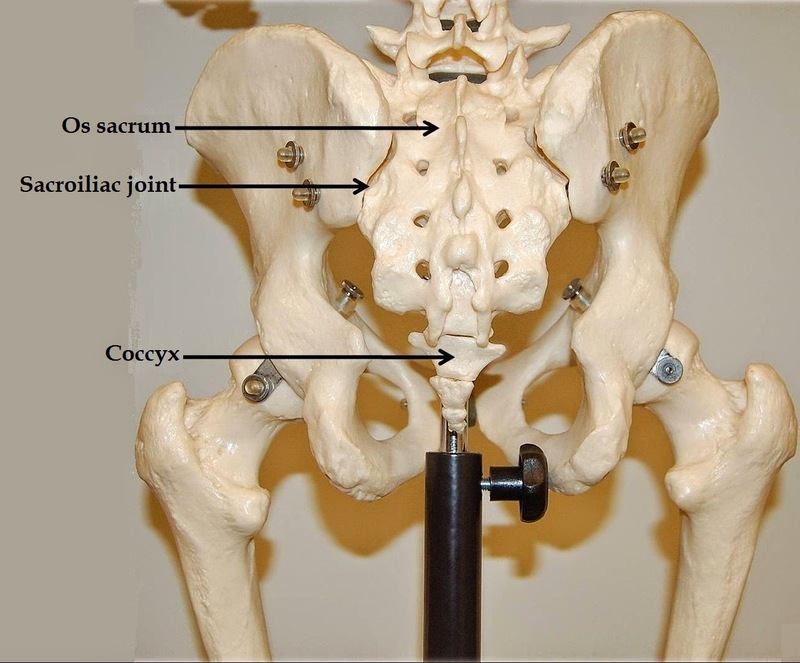 The aim of this article is to teach how to distinguish joints and movements of these joints. Exercises analysis will help us in understanding these issues. Amphiarthrosis - permits slight mobility. 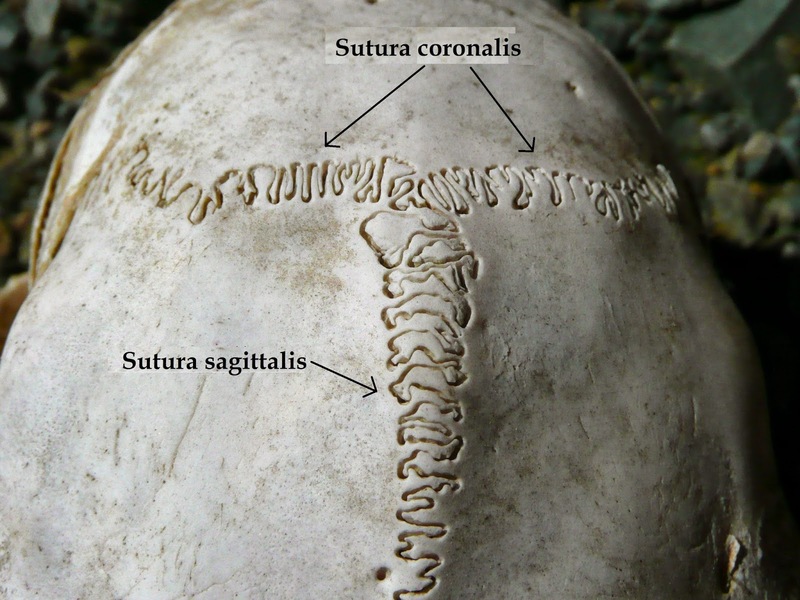 Most amphiarthrosis joints are cartilaginous joints (e.g.,intervertebral discs). 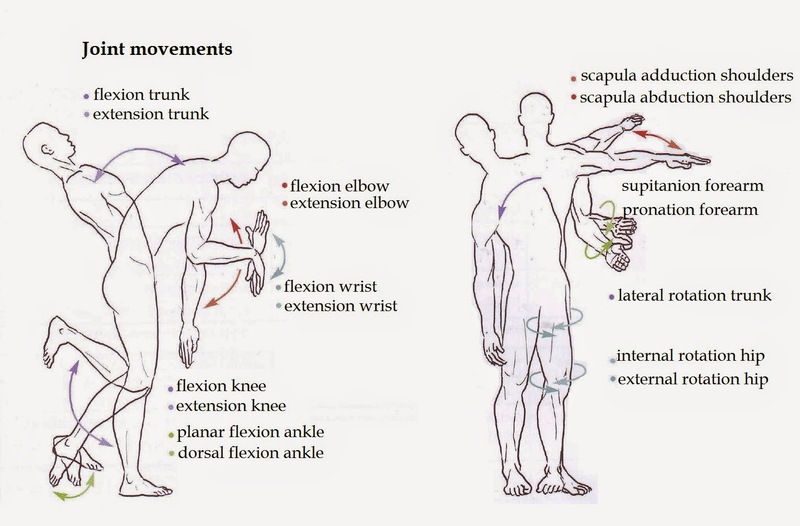 All joints mentioned below ale synovial joints because these are the most important as far as mobility is concerned. 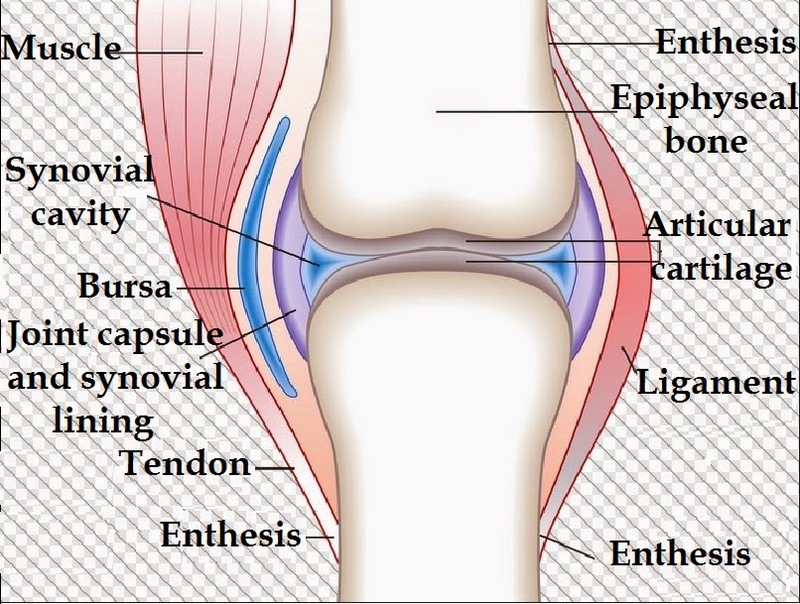 Synovial joints consist of: articular capsule, articular cartilage that lines the epiphyses of joint end of bone with a smooth, slippery surface. We can find synovial joints in hands, feet, knees, elbows and shoulders. Undertaking any physical activity like jogging, swimming, or everyday activities like rising a cup of tea, induces neural stimulation which leads to movements in particular joints. Joint movements are characterised by certain amount of regularity. 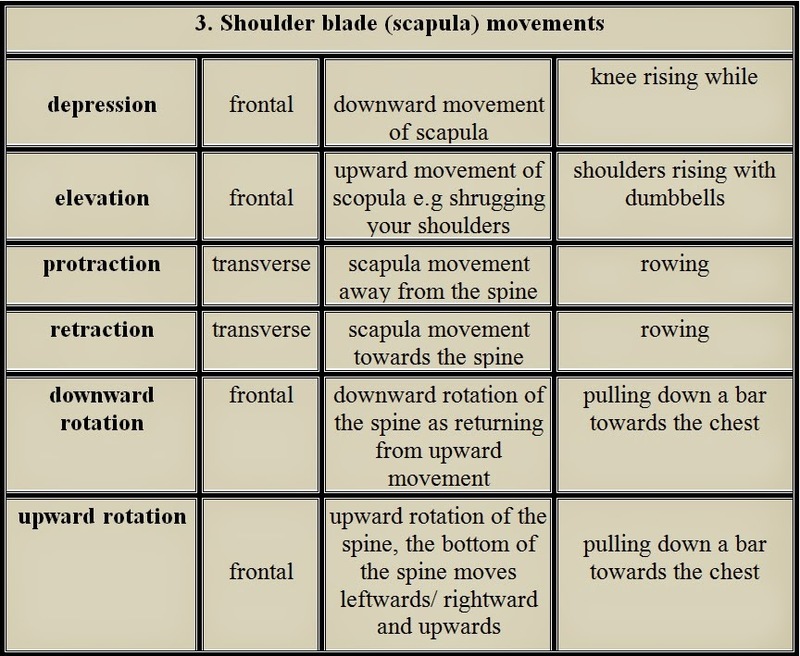 The most common movements are made in the same anatomical planes. Rotational movements in knees, shoulders , or hips are produced in the saggital plane. While talking about exercises, it is not enough to name the movement and the body part, one should also precisely define the joint in which the movement occurs. For example, if one says “extension of the leg” we do not know if they talk about the knee, ankle or hip. Movements always have pairs. Every movement should have its return movement. 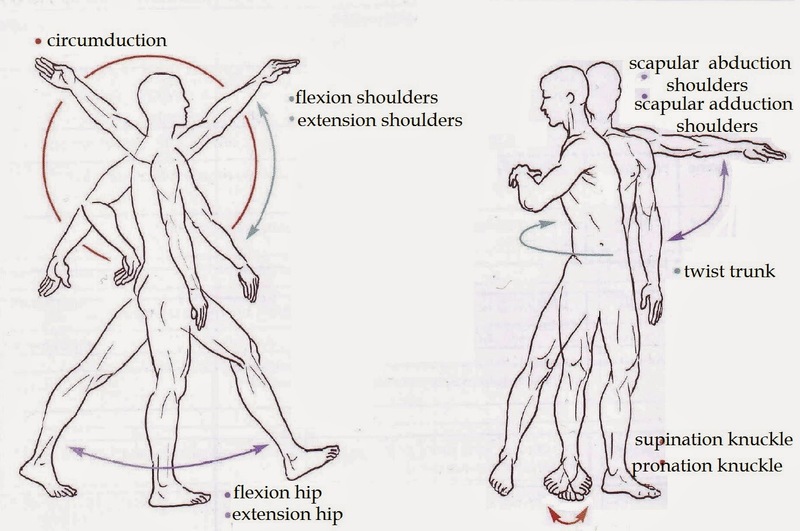 Typical movements pairs are: extension and flexion, abduction and adduction, internal rotation and external rotation. 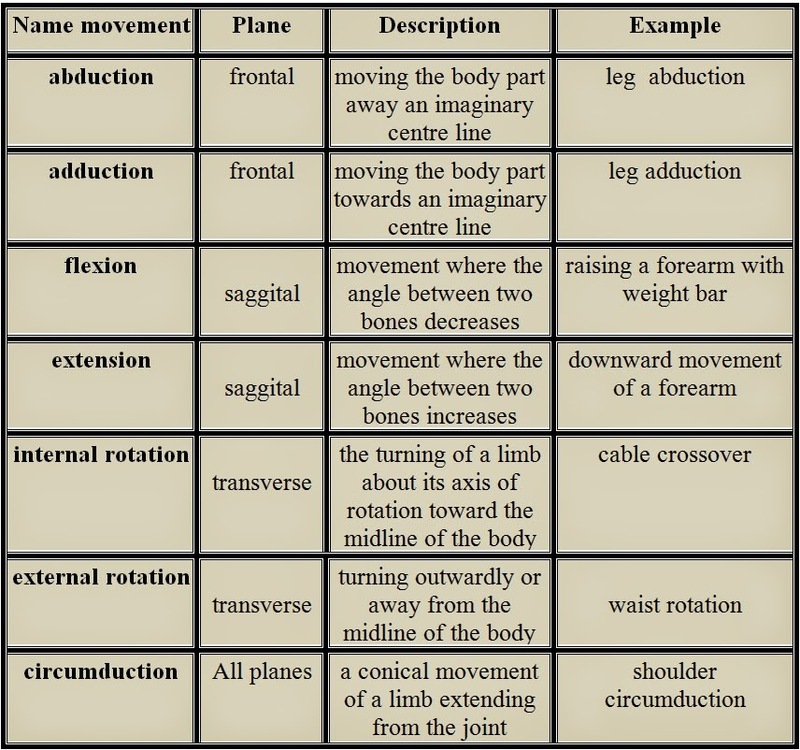 What is also extremely important: movements names refer to person remaining in the standard anatomical position. Thus the elbow flexion means always the same, regardless of your position. Trener przygotowania motorycznego i trener personalny - Rafał Bytomski | Wszystkie Prawa Zastrzeżone.